Pizza is a popular national pastime. Whether people are in for a movie, are having a party or just don’t want to cook for the night, hot pizza is favorite toppings is always a hit. However, ensuring that a customer got hot pizza wasn’t always possible. It can take up to 30 minutes to deliver a pizza depending upon how quickly a pizza delivery person can drive safely and how far away a customer lives. Up until the 1970’s this was a difficult task to perform. Pizza could arrive cold. Not only would the customer be unsatisfied, but the customer would not likely order that pizza again. It wasn’t until the 1970’s that delivery bags for hot food was extensively used to keep pizza hot. With this amazing form of casing designed to keep pizza and other foods hot, pizza sales increased and the food that so many love today quickly gained in popularity. Pizza has come a long way too. If it weren’t for delivery bags, it can’t be certain that we’d have as many varieties of pizza that we do now. We’d probably still have thin crust and deep dish, but all the specialty pizzas that exist today might not have evolved had pizza not become so popular. If it weren’t for pizza bags by Covertex and other companies, our pizzas would still be arriving cold, guests would not be fulfilled and parties would be duller. People certainly wouldn’t be able to phone in an order and have it delivered. 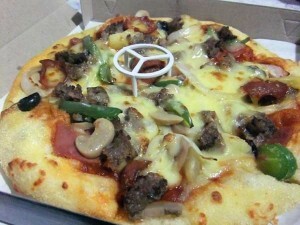 This entry was posted in Favorite Food, Snacks and tagged all time favorite pizza, favorite pizza, my cravings for pizza, pizza, pizza delivery, why do I love pizza on June 20, 2014 by Yami.